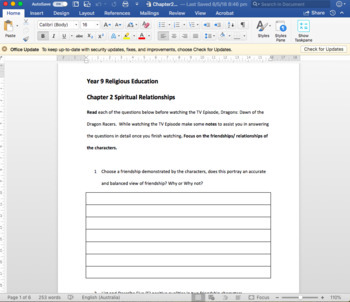 This activity sheet focuses on Year 9 Religious Education: Spiritual Relationships. The content is based on the Catholic Curriculum for Western Australia and the Come Follow Me Textbook. Students are to watch a TV episode, that can be found online for free on Netflix, and answer a series of questions in relation to the content.